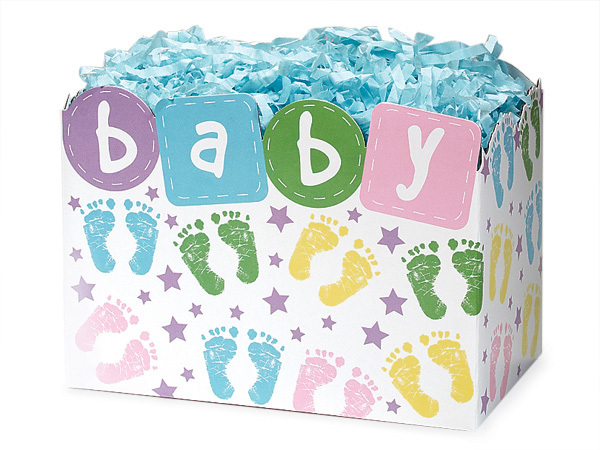 Our baby steps gift box is a perfect gift that everyone will enjoy when welcoming the new born home. Gift is finished off in a clear cello bag and tied with matching ribbons. Holds three 9 cups bags. Butter, cheese and caramel. Box size is 10 x 6 x 7.